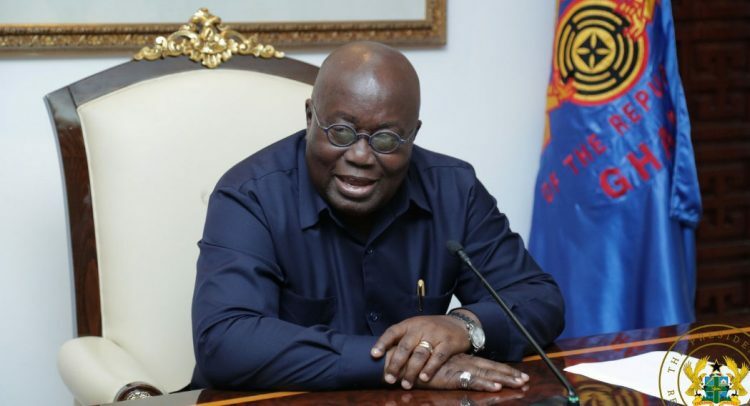 Simply stated, the petty bubble of never-see-anything-good pack of Ghanaians spearheaded by the hyper-partisan main opposition party, has a firm resolve to ensure that at the end of his term of presidency, Nana Addo will not get the chance to boast of any policy of consequential national implications. So deny this president the genuine credit due him; suffice to say, let’s muddy the water upstream and quickly come downstream; look straight in the eyes of all Ghanaians and put the blame on Nana Akufo-Addo for causing the mess. Yet what do the ordinary Ghanaians see and hear every day from the unrelenting fault-finders of President Akufo-Addo? The wide-ranging government policies notwithstanding, the self-serving skeptics and the cynics, as well as a sizable bunch of uninformed backseat media talking heads, keep peddling and echoing the pessimistic narrative, making it seem like the president’s all-embracing policies are subpar and hence nothing to celebrate about. Partisanship and politics of non-compromise seriously undercut truth, fairness, and a country’s development potentials. Politics of “my way or no way” not only stifles societal growth but also discourages true patriots from seeking public office. Functional democracy is predicated on truth; and, truth as we know it, is neutral or “tribal-less.” Potentially, all humans have capabilities to understand the contours of truth because it is universal. So, as soon as an individual or a group of people start viewing themselves as repository of all knowledge or truth, it has countervailing effect or implicit assumption that other people are incapable of deconstructing the truth. For many NDC adherents, Nana Akufo-Addo presidency is an aberration; thus, whatever it takes to obstruct him, so be it. Understandably, in multiparty political system, strong but civil expression of policy differences and debates are commonplace in that they form intrinsic part of the culture. However, in the situation in which one or more people deliberately deny or pervert a public figure’s true story in the desperate bid to promote one’s own, it makes politics looks dirty and insensitive, although in its unadulterated state it can be a noble avenue for the public good. If the widespread but cynical storyline is that, the president’s landmark Free SHS education policy is not living up to expectations, what is the alternative courses of action the critics suggest for improvement besides moving from one radio station to another to rehash the tired-old mantra that “You see, l told you so, it’s not going to work unless the Free SHS is progressively implemented.” The question to the critics is: What is the guarantee that “progressively implementing” (whatever that means) a given national policy will make it incident-free or successful? As usual, let the disparagers keep denying the existence of the president’s ambitious programs put in place so far to help make Ghana better than he came to meet in office. Undoubtedly, President Akufo-Addo will be recorded in history as one of the few modern leaders who rose above politics of pettiness and mediocrity in the face of unimaginative and prepackage opposition forces. His authentic love and patriotism for Ghana hardly need emphasis. It is not for any trivial reason that the visiting German Chancellor Merkel acknowledged President Addo’s reformist policies in a press briefing in Accra, informing her host and Ghanaians alike that Germany is planning of establishing Volkswagen assembly factory in the country. This speaks a lot to the recognition and the current government’s achievements under Nana Addo Dankwa, because Germany as an advanced economy and the richest nation in Europe knows a growing economy when it sees one. Do I need to belabor this point? Bernard Asubonteng is a US-based writer.